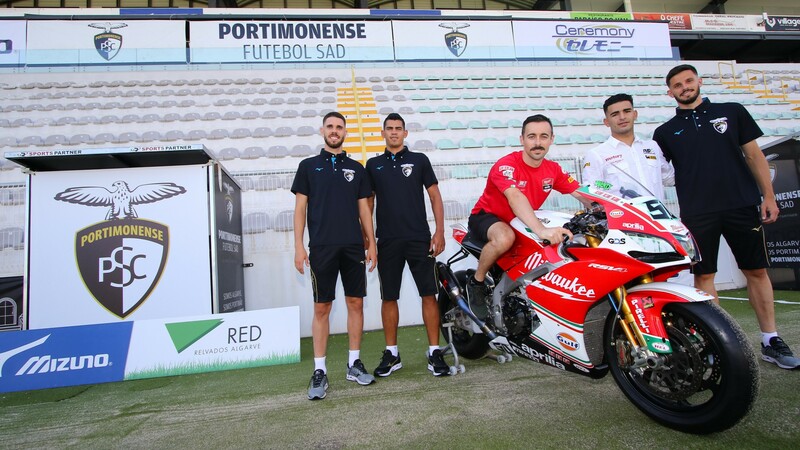 Enjoying the last hours before the start of what promises to be an enthralling Round 10 of the MOTUL FIM Superbike World Championship, Eugene Laverty (Milwaukee Aprilia) opted to don a different kind of boots this Wednesday at the Portimao Football Stadium. 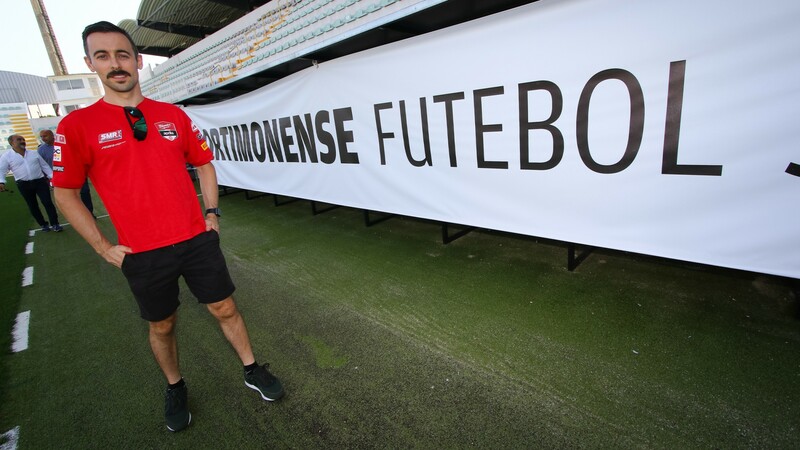 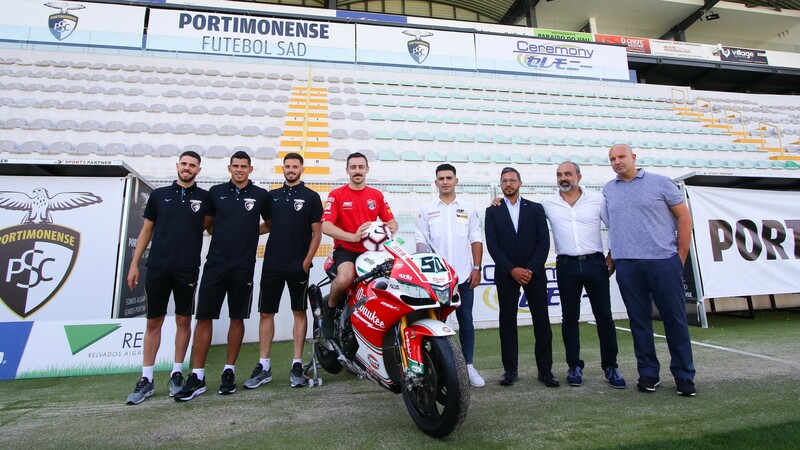 The Irishman took his #50 Aprilia RSV4 to the stadium of Primeira Liga team Portimonense Sporting Clube and met up with several team players on the pitch itself, as well as with Portimonense’s president. 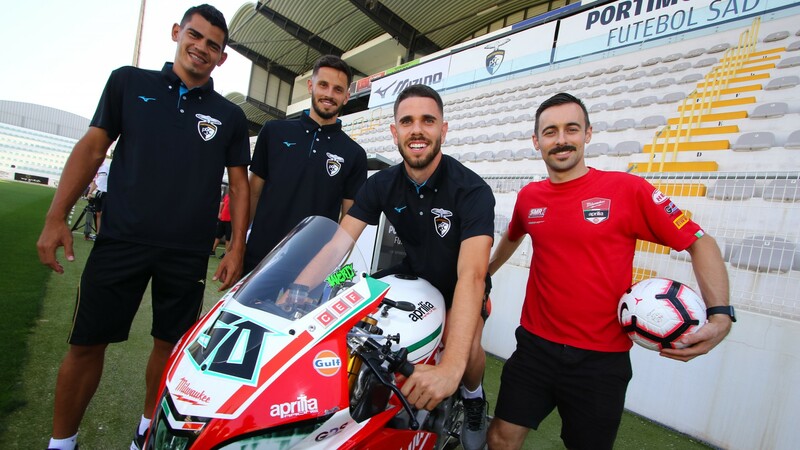 The club originates from and plays its matches in Portimao, only a few miles away from the Autodromo Internacional do Algarve where the Nolan Portuguese Round will take place this weekend. 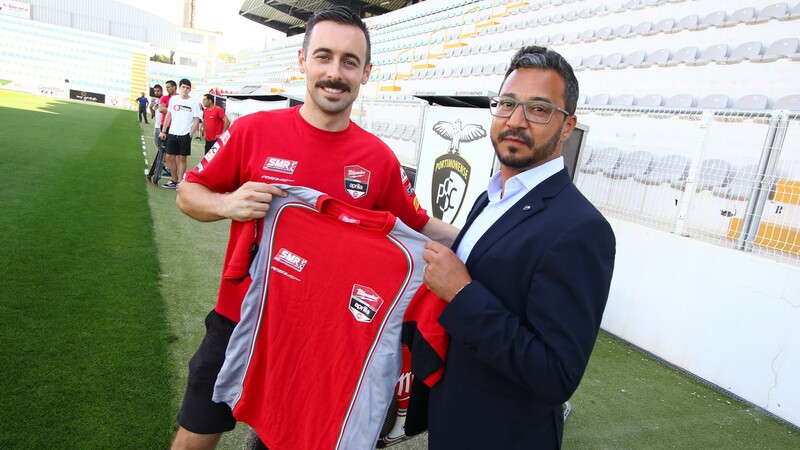 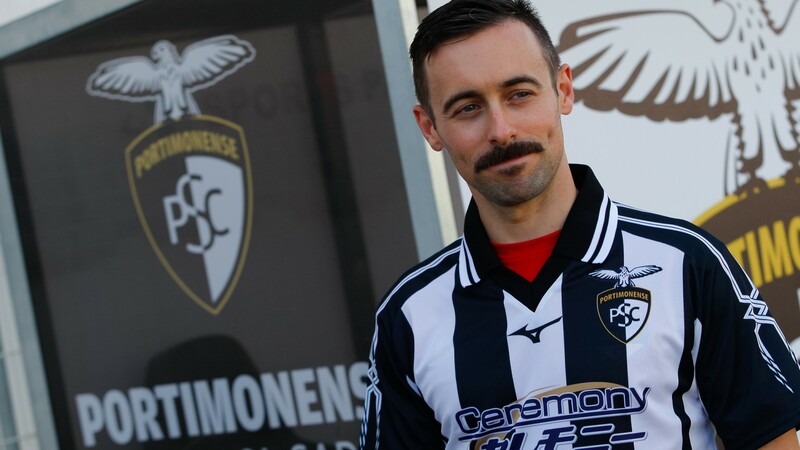 While Laverty will probably not be pursuing a career change to football any time soon, he did channel his inner Robbie Keane on the Portuguese turf, trading tips with the players and showing off a couple of tricks before, as tradition demands, swapping his Milwaukee Aprilia jersey for a Portimonense one. 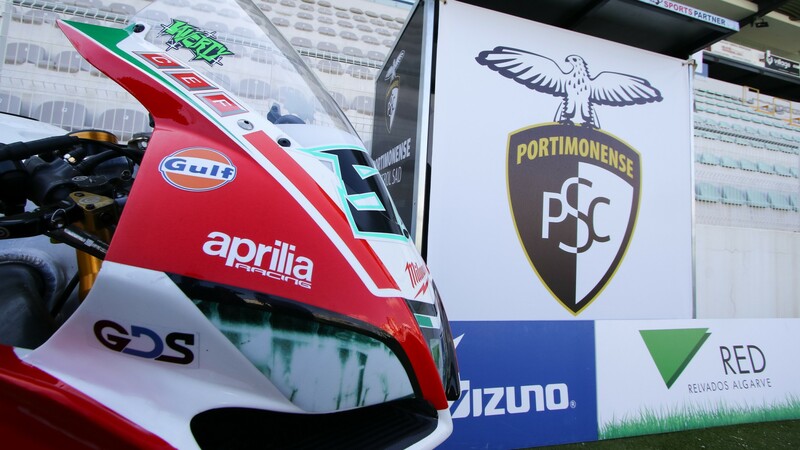 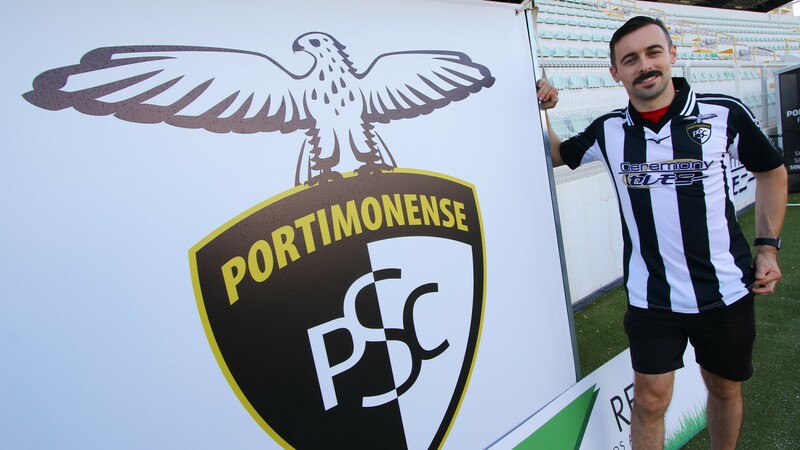 Three points in the bag for both Laverty and Portimonense SC – but can the Irishman take a further 25 this weekend at Portimao? 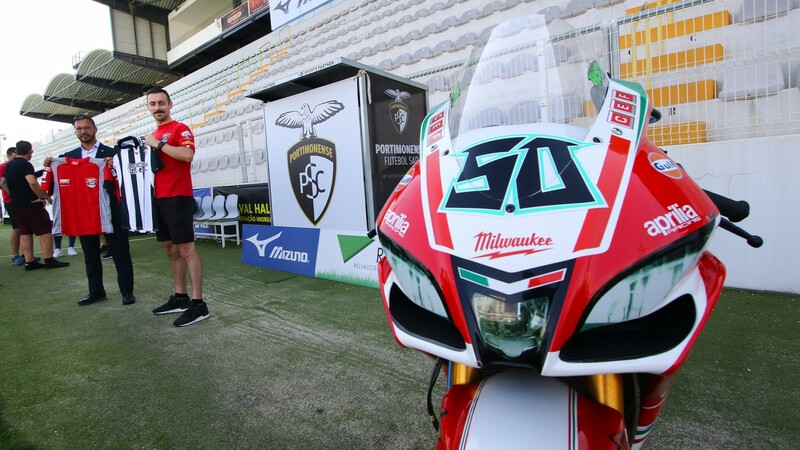 Find out LIVE and OnDemand thanks to WorldSBK VideoPass.